WHITE WIDDOW – New official video single released…..
Posted in: AmadeuS Melodic Rock Shows, AMRShow APPROVED, Music, New Releases, Newsfeed. Tagged: Aor, aor heaven, Ben Webster, Enzo Almanzi, gavin hill, Jules Milllis, Melodic Rock, Music, new album, New Releases, news, victory, White Widdow, Xavier Millis. White Widdow released their first single out of the NEW album “VICTORY” coming up on OCTOBER 19th…..BE PREPARED! Enjoy it & feel free to spread the word…..
Posted in: Music, New Releases, Newsfeed. Tagged: Aor, aor heaven, Care of Night, love equals war, Melodic Rock, Music, new album, New Releases, news, wigelius. Skandi Act CARE OF NIGHT’s new album “Love Equals War”, produced by Erik Wigelius, is set to be released by AOR Heaven/GerMusica Promotion on November the 23rd 2018. Viktor Öström Berg – Electric & Acoustic Guitars, Bass Guitar. Posted in: Music, New Releases, Newsfeed. Tagged: Aor, aor heaven, Ben Webster, Enzo Almanzi, Jules Milllis, Melodic Rock, Music, new album, New Releases, news, victory, White Widdow, Xavier Millis. Formed in Melbourne, Australia in 2008 and centered around the Millis brothers Jules (Vocals – ex Tigertailz) & Xavier (Keyboards – 2 x Aria Nominee) and guitar virtuoso Enzo Almanzi. Raised on a healthy diet of 80’s Arena Rock and influenced by artists such as Survivor, Foreigner, Journey, Night Ranger, Starship, Dokken and Australia’s own Rick Springfield. In 2010 White Widdow signed with the AOR Heaven label and stormed onto the Melodic Rock scene across the globe with the release of their self-titled debut album throughout Europe. The release of the debut was met by the press with rave reviews making it into Classic Rock Magazine’s top 10 AOR albums for 2010. White Widdow quickly returned with their follow up release “Serenade” in September 2011, showcasing a more crafted song style and structure. In support of “Serenade”, White Widdow hit the road playing festivals and headlining club shows throughout Europe which saw them tour through Switzerland, Germany, Sweden, Italy, Greece and England. Along the way performing at HEAT Festival (Germany) and Firefest (UK) and playing alongside artists including Jimi Jamison (Survivor), Steve Auguri (Journey), Unruly Child, Stage Dolls, Keel, Shakra, Strangeways, Silent Rage, Alien, Mitch Malloy, Coney Hatch, Jeff Paris, Kane Roberts and many more. In 2014 White Widdow’s third opus. “Crossfire” was released and was once again met with praise from both rock critics and melodic rock/ AOR fans, receiving positive reviews. In March 2015 White Widdow returned to tour Europe with shows in Spain and Greece before returning to the UK with shows across England and finishing the tour at Hard Rock Hell AOR Festival in Wales sharing the stage with AOR Legends Night Ranger & FM. 2016 saw White Widdow release their fourth album “Silhouette”, a very slick AOR affair that was heaped with praise by the Melodic Rock Press and Media. White Widdow returned to tour Europe and once again performed at HEAT Festival in Germany alongside artists including Treat and Pink Cream 69. 2018 has seen White Widdow re-enter the studio for their fifth album “Victory”, celebrating ten years since the band began and an album cover that throws back to the style of their debut. “Victory” incorporates a strong Pomp element in the songs along with White Widdow’s traditional classic 80’s AOR sound, the band allowing their influence of bands like Giuffria and White Sister to really come through. Featuring over the top pompus keyboards, stacked harmony vocals from the Millis brothers and Enzo Almanzi’s tasty solos throughout. White Widdow are set to perform at Rockingham in the UK in support of the new album, followed by a tour through Spain, Greece and their native Australia. Posted in: Music, New Releases, Newsfeed. Tagged: Aor, aor heaven, glam rock, hair metal, Melodic Hard Rock, Melodic Rock, Midnite city, Music, new album, New Releases, news, pete newdeck, rob wylde, there goes the neighbourhod. Following on from their explosive self-titled debut album last year, MIDNITE CITY return all guns blazing on 19th of October 2018 with their sophomore release ‘THERE GOES THE NEIGHBOURHOOD’ – eleven tracks of fist pumping, high energy, feel-good, hair metal of the highest order! As with the first album, the winning formula has remained – all songs have been written by Rob Wylde, whilst Pete Newdeck has once again taken control of production, engineering and mixing duties. With ‘THERE GOES THE NEIGHBOURHOOD’ the band has literally stepped everything up several notches to unbridled, head splitting proportions. The guitars are big, the drums are huge, there are walls and walls of harmonies and more synths than you’d find this side of a classic Bon Jovi album. In a nutshell, this album has everything but the kitchen sink! With shows all over the UK and Europe in 2017/ 2018, MIDNITE CITY’s sound is tighter than ever before. WHITE WIDDOW – New album out in October…. Posted in: AmadeuS Melodic Rock Shows, Music, New Releases, Newsfeed. Tagged: Aor, aor heaven, Ben Webster, Enzo Almanzi, gavin hill, Jules Milllis, Music, new album, New Releases, news, victory, White Widdow, Xavier Millis. Australian AORsters White Widdow announced the release of their new album through the band’s facebook page. Posted in: AmadeuS Melodic Rock Shows, Music, New Releases, Newsfeed. Tagged: Aor, aor heaven, Jean Beauvoir, masterpieces, Melodic Hard Rock, Melodic Rock, Music, New Releases, news, rock masterpieces. 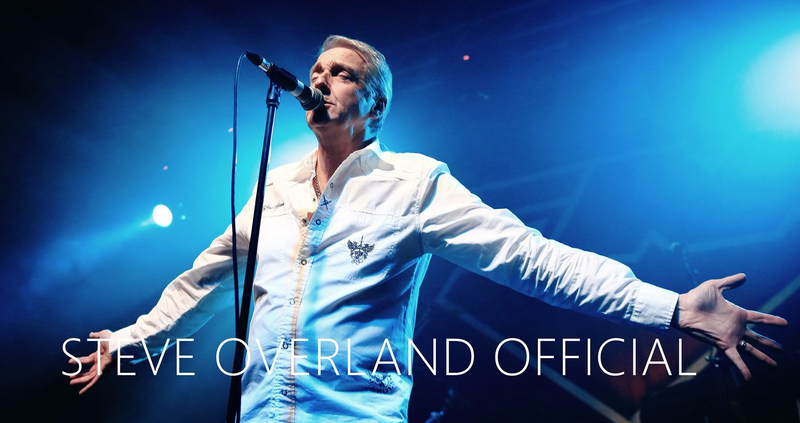 AOR HEAVEN is currently gearing up to release the first of two retrospective albums highlighting the music of Jean Beauvoir beginning in the summer of 2018. Jean Beauvoir: Rock Masterpieces Vol. 1 and Vol. 2 feature songs from his solo career including his International multi-platinum debut “Drums Along the Mohawk” album, from his band Crown Of Thorns, his band Voodoo X, which also made music and video history, some fan favorites and a couple of unreleased singles which are a part of several soon to be released projects. 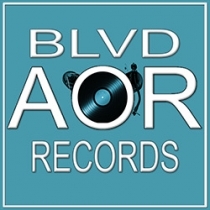 AOR HEAVEN will begin releasing his follow up album Jean Beauvoir” Rock Masterpieces Vol. 2 by the end of 2018, beginning of 2019. The songs on both albums will be remastered. Beauvoir is also working with best selling British author Simon Cox (Cracking The Da Vinci Code) on a new book which will capture his storied career in music and entertainment. The iconic Blonde Mohawk of Jean Beauvoir has been an ongoing major influence on US and International pop culture in music, sports, film and TV; including several cartoons; influences that are still being seen and heard today. As a member of the Plasmatics, the most outrageous, controversial, successful Punk band ever and a longtime songwriter and producer for the Ramones, hailed as the greatest Punk band in the world, Jean Beauvoir is forever linked to two of the most revolutionary bands of the twentieth century. He was a member of the Plasmatics during their most successful and revolutionary time in music and is the only member of the Plasmatics who went onto a successful solo, production and writing career with over 40-million records sold to date and featured on over 240 albums. Music from his solo debut album ‘Drums Along the Mohawk’ was hand picked by Sylvester Stallone for the film Cobra which led to Beauvoir making a deal with Al Teller (President of Paramount Pictures). Through working closely with Branson, Stallone and Teller, Cobra received the highest advertising budget for a Hollywood film to date at the time featuring the single “Feel the Heat” as its title track. Since Cobra, music by Jean Beauvoir has been featured in other well known, successful films throughout his career including Pet Sematary (Stephen King). He has continued writing (and/or) producing hits with other artist’s such as KISS, Lionel Ritchie, Desmond Child and others; more recently with Korean Superstar Jonghyun of the K-pop super group Shinee whose single “Crazy Guilty Pleasure” hit #1 on Billboard’s World Album Charts (U.S.), #1 on iTunes (Worldwide) and topped the charts across Asia. Today, the Plasmatics and the Ramones are hailed as two of the most revolutionary bands of the twentieth century. They are the original O.G. Punks and the Godfather’s and Grand Dame (Wendy O. Williams) of Punk & Metal. Today, Jean Beauvoir is also recognized as “One of the Most Influential Black Rockers of All Time” by Guitar World Magazine and is one of the most successful bass guitarists in American music. The Ramones were inducted into the Rock and Roll Hall of Fame (2002) and honored with a Grammy Lifetime Achievement Award (2011). The Plasmatics are featured in the Rock ‘n Roll Hall of Fame (2017). Jean Beauvoir continues to write, record and produce solo projects as well as collaborate with other artist’s in various genres, while staying active in film and television projects both as an actor and/or executive producer. He is currently working with American author Bill Doyle and world class illustrator Nicola Anderson on a children’s book to be released soon. Jean Beauvoir is a producer of the ground breaking film “The Killer’s Requiem” set for release in 2019 and is currently reviewing several scripts submitted for future film roles while finalizing other projects set for release in 2018/2019. Posted in: AmadeuS Melodic Rock Shows, Music, New Releases, Newsfeed. Tagged: Aor, aor heaven, cultural daze, hard rock, Ian Parry, Melodic Rock, Music, New Releases, news, von baltzer. Brand new album called “Cultural Daze” from Von Baltzer is set for release on June 29th on AOR HEAVEN. Von Baltzer “Cultural Daze” has everything for the classic AOR rock fans wrapped up in a modernized production by Von Baltzer and a first class vintage rock mix by Swedish producer Magnus Johansson. While the each song captures remnants of the 80’s & 90s best rock artists from Asia, Bon Jovi, Boston, Toto & a musical hint of Yes, Von Baltzer clearly have a unique style & individual sound, while still appealing to fans of Bad English, Journey & Rainbow alike. “Cultural Daze” comprises of 10 memorable heart felt rock tracks, a must for classic rock radio DJ’s and fans worldwide with some of the most amazing performances by Rocks 1st class musicianship from across Europe! Produced by Von Baltzer this impressive debut album now delivers this memorable “back to the roots” melodic classic rock debut album with 10 co-written songs by guitarist Christian Kjellström (Atlantis/ RockXPress) and Erik Palmqvist (Pork from Cork Ireland, Mickey Slim Band); music & lyrics by vocalist Ian Parry Rock Emporium, Consortium Project, Elegy, Ayreon). Drummer Magnus Jacobson (Miss Behaviour, Claes Yngström) completes the band’s line-up. Per Ramsby (Tribute, Foundation) guests on keyboards. “Cultural Daze” addresses recent issues in the world media and is a view of life in a multi cultural society. A heartfelt search for a way forward during these turbulent times influencing our lives and what lies ahead for society in the future. FRONTLINE – “State of Rock” Re-issued w/ bonus tracks…..
Posted in: AmadeuS Melodic Rock Shows, Music, New Releases, Newsfeed. Tagged: aor heaven, frontline, Melodic Hard Rock, Melodic Rock, Music, news, state of rock. On April 27th 2018, AOR Heaven will re-issue the rare and out of print album “The State Of Rock” with two bonus tracks as a limited edition of 1000 copies. The album was re-mastered by guitarist Robby Böbel. HEARTWIND – Debut album in April…. Posted in: AmadeuS Melodic Rock Shows, Music, New Releases, Newsfeed. Tagged: Aor, aor heaven, germain leth, german pascual, goran engall, hard rock, heartwind, higher and higher, Melodic Hard Rock, Melodic Rock, mikael rosengren, Music, news, peter svensson, Rock. New melodic hard rock project called HEARTWIND is coming up with their debut album entitled “Higher and Higher” on April 27th which will be released from AOR HEAVEN. With members from bands like Constancia, The Poodles, Token, Narnia and Essence of Sorrow, and with guest stars Nina Söderquist (Bjorn Skifs/Badrock, Champions of Rock a.o. ), Janne Stark (Grand Design, Mountain of Power a.o. ), and Tåve Wanning (The Voice, Adrenaline Rush, Peaches), new melodic hard rockers Heartwind may come across as one of those one off band projects, but nothing could be more far from the truth. Heartwind is the story of two old friends, with a common love for classical melodic hard rock and AOR, that after fifteen years of friendship started to write the album they always had wanted to listen to themselves. Over a meal in downtown Stockholm, guitar player and songwriter Goran Engvall (former with Hitworks) and progressive/melodic keyboard player and fellow songwriter Mikael Rosengren (Constancia, Token, Scudiero), laid down the vision for what was yet to come. 15 original songs and 12 months later, Mikael started to pull some strings from his many fellow musicians in the Swedish hard rock scene since 20 years back. The two songwriters were amazed with the positive response they got on their first demos, from hard rock industry people & fans. It became evident that they were going to be able to attract some great talent to the album and the band. Believing in the importance of fellowship and a strong people fit when starting a band, Mikael and Göran started to dig in closest ground: Drummer Peter TrumPeter Svensson (Constancia, Faith) and singer Germán Pascual (Narnia, Dj Mendez, Essence of Sorrow), happily joined the band, and two key pieces of the puzzle came into place. With Peter and Germán onboard, the band knew they had both a powerful backbone and a phenomenal front man in place! Germán invited his old friends, and former band mates, guitar virtuoso Martin Hall (Germán Pascual band) and bass wizard Germain Leth (The Poodles, Watchmen) to join the band and magic was about to happen. When also the very well respected Fredrik Folkare (Unleashed, Firespawn, Eclipse, Scudiero a.o. ), accepted to team up to produce and mix, the band knew they had something special going. Fredrik’s contribution also as a musician on the album (guitar & bass) cannot be underestimated. With classical albums like Hysteria (Def Leppard), 1987 (Whitesnake) and Escape (Journey) serving as inspiration, the intention from the band has been to get every single track to stand on its own two feet! Timeless melodic hard rock with a modern but still genuine sound! Posted in: AmadeuS Melodic Rock Shows, Music, New Releases, Newsfeed. Tagged: aor heaven, Melodic Hard Rock, Melodic Rock, Music, raspberry park. Danish rockers Raspberry Park has signed a Worldwide deal with the German record label AOR Heaven for the next album. The band will start writing new material in January 2018 and start the actual recording in late spring. Code Red – New clip out…..Debut album Oct. 20th…. Posted in: AmadeuS Melodic Rock Shows, Music, New Releases. Tagged: Aor, aor heaven, code red, Melodic Rock, Music, sahara, ulrick lonnqvist. Code Red have a new promo clip out of their debut album called “Incendiary” set to be released on October 20th from AOR Heaven. Lead singer Ulrick Lönnqvist initially started out with the band Sahara who released a self-titled album in 2001 on AOR Heaven. Since then he has mainly been working as a song-writer and co-writer for different bands all around Sweden, i.e. with Hal Marabel (Bad Habit), Morgan Jensen (Swedish Erotica), Jake E (Amaranthe), Michael Palace (Palace) and Andreas Gullstrand (Creye) to name a few. So the seed to the new project and band CODE RED was planted many years ago in fact, when colleagues and partners became close friends. During 2016 while Lönnqvist was co-writing songs for the new albums with Jim Jidhed, Creye, Mad Invasion and Find Me, producer Daniel Flores (The Murder Of My Sweet, Find Me) approached to him and suggested that he really should record an album of his own. It was never Lönnqvist’s ambition to be a solo artist, but Flores convinced him and wanted to produce the album. The singer teamed up with co-writers Morgan Jensen (Swedish Erotica) and Michael Palace (Palace, Big Time), and along with lead guitarist Oscar Bromvall (Palace, Erika) and keyboard player Kaspar Dahlqvist (Shadowquest, Dionysus) the line-up was complete. CODE RED was born. It felt like a natural step to approach Georg Siegl at AOR Heaven, and he believed in the songs and CODE RED right from the start. The band recorded their debut album during the spring of 2017 at Sound vs. Science in Stockholm under the direction of producer Daniel Flores and Ulrick Lönnqvist. It was a pure labor of love, resulting in the melodic rock album titled “Incendiary”. Cover design and artwork by Ken Sandin, SinProd. Photography: Anders Fästader, Trailermade Productions. For any further info and news. Visit AOR Heaven’s website: www.metalheaven.net, or CodeRed Sweden on Facebook. Posted in: AmadeuS Melodic Rock Shows, Music, New Releases. Tagged: aor heaven, Martina Edoff, Music, We will align. Brand new album is coming up in September from Martina Edoff. The album is called “We Will Align” and is set to be released on Sept 22nd from AOR Heaven. band on a successful North American tour in September 2015.
returned to the Rockingham Festival to perform. released on AOR Heaven on September 22nd, 2017. The great reviews kept on coming in from all over the world. Posted in: AmadeuS Melodic Rock Shows, Music, New Releases. Tagged: Aor, aor heaven, Arial, Melodic Rock, Music, Newman, steve Newman. Newman are back with their new album coming up on September 22d 2017. The album is called “Aerial” and will be released on AOR Heaven. In 1997 Singer, songwriter Steve Newman formed the band Newman and since 1998 has been producing consistently high quality albums filled with hook laden songs and thought provoking lyrics and released 10 studio albums and one best of compilation up to today. The previous release, “The Elegance Machine”, was released in 2015 and the band returned to the road with shows in Europe and their first UK headline tour. “Aerial” now features 12 tracks that return to the huge chorus’s, maintaining the high quality production values that have been prevalent over the last albums. But this record, above all, is all about the songs, you could say it’s an unashamed AOR/Melodic Rock record and follows that rule across all 12 songs to give the listener a very consistent album. Once again Steve Newman has teamed up with Rob McEwen (drummer for the last nine Newman albums), the album also features long time friend Mark Thompson-Smith lending his vocals to “Fear Of Flying” and ” Two Sides”. Finally the mastering was taken care of by none other than Harry Hess (Harem Scarem) at H Bomb Mastering. Posted in: AmadeuS Melodic Rock Shows, Music, New Releases. Tagged: Aor, aor heaven, hard rock, Lee Small, Lionheart, Melodic Rock, Music, Second Nature. The new record, Second Nature, was created between November 2016 and May 2017 and was produced, engineered and mastered by Steve Mann in his own studio in Hannover. A mini tour of Japan with Praying Mantis was scheduled for June/July with further UK shows with Airrace in November/December. The album release on AOR Heaven throughout Europe is set for 25th August. Posted in: AmadeuS Melodic Rock Shows, Music, New Releases. Tagged: Aor, aor heaven, Da Vinci, Melodic Rock, Music, New Releases. With the release of “Ambition Rocks”, their first album in 25 years, and with a new lineup, AOR & Classic Rock band Da Vinci returns with brand new songs. “Ambition Rocks”was produced by Sverre E Henriksen and DaVinci; drums recorded in Oslo at Klang Studios with Johnny Skalleberg. The album was mixed by Sverre E Henriksen in hangar 7 and mastered by Nick Terry. Artwork & videos by Dag Selboskar. The album will be released from AOR Heaven on August 25th.